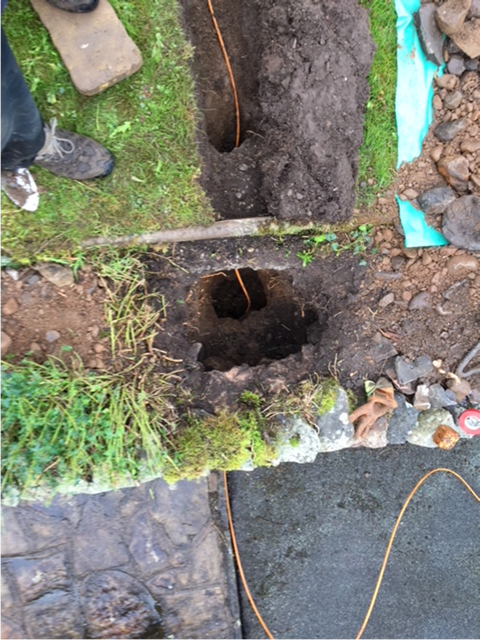 The first 7mm ducts are laid in Birks. 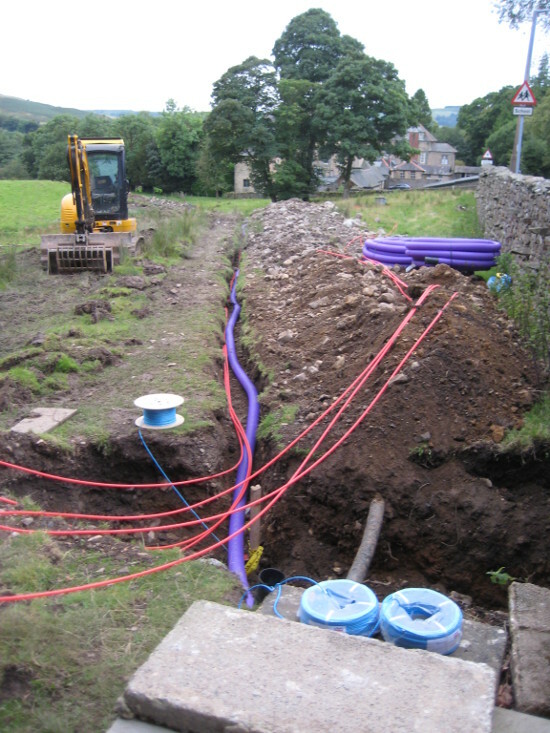 A tricky short section of ducting completed near Plank Bridge. 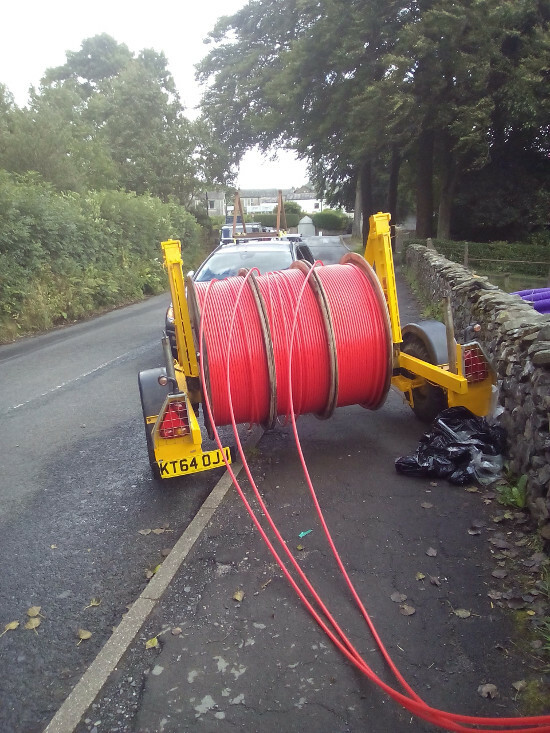 The Middleton team bring the ducting up to Jackdaw Bridge and make the official handover to the Sedbergh team. 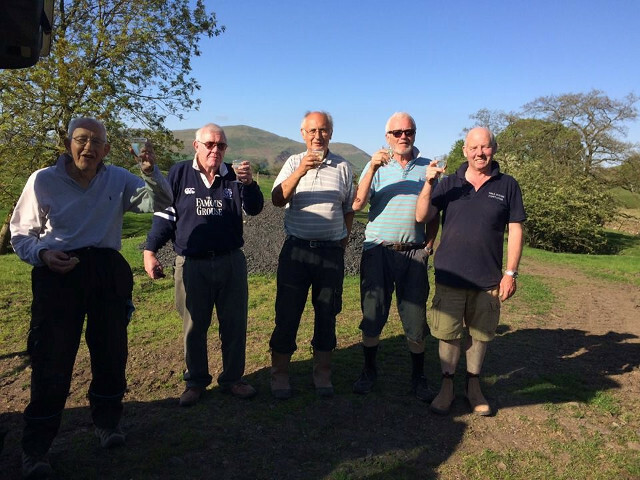 Followed by celebrations! 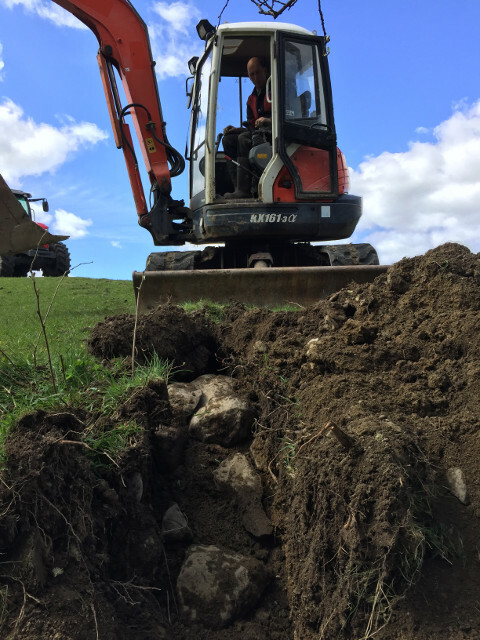 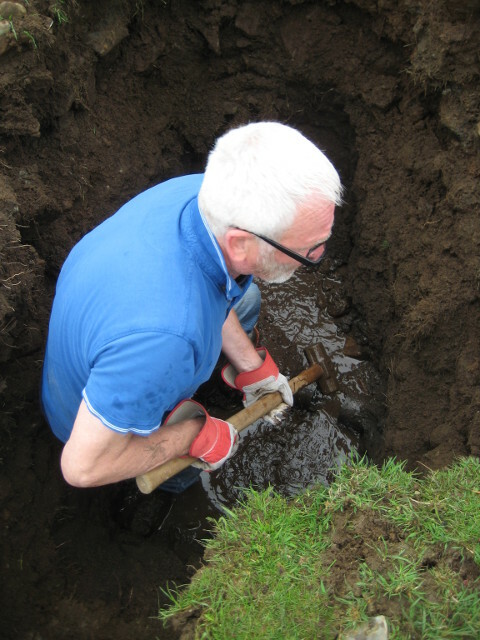 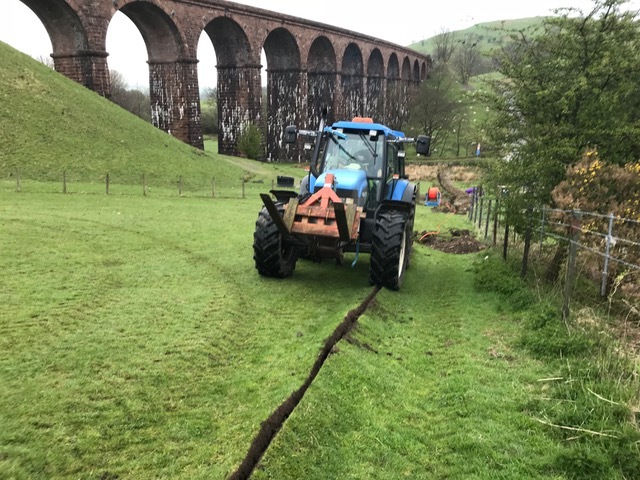 When mole ploughing or trenching in an attractive or a remote location the Firbank team show how it should be done. 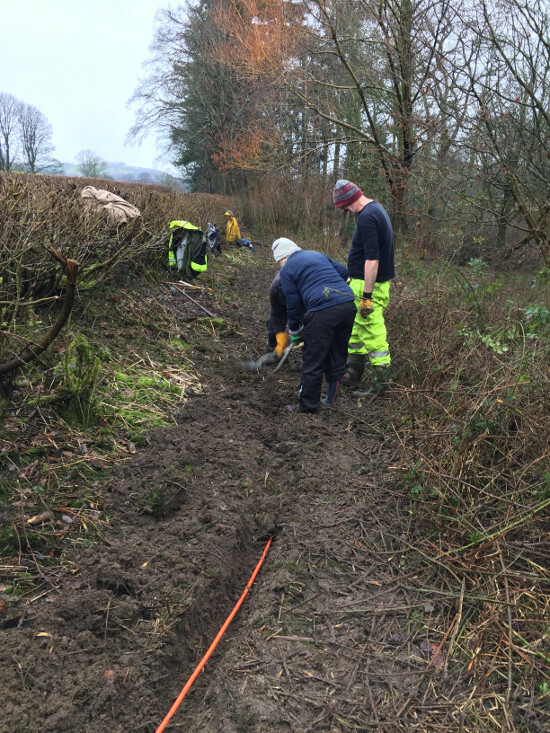 The experienced Middleton team supported by the apprentices from the Sedbergh team start the dig up the final stretch to Jackdaw Bridge. 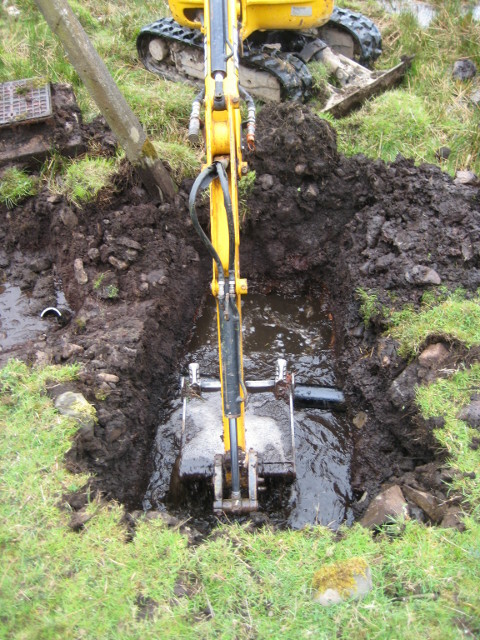 Sometimes it can be a tad wet! 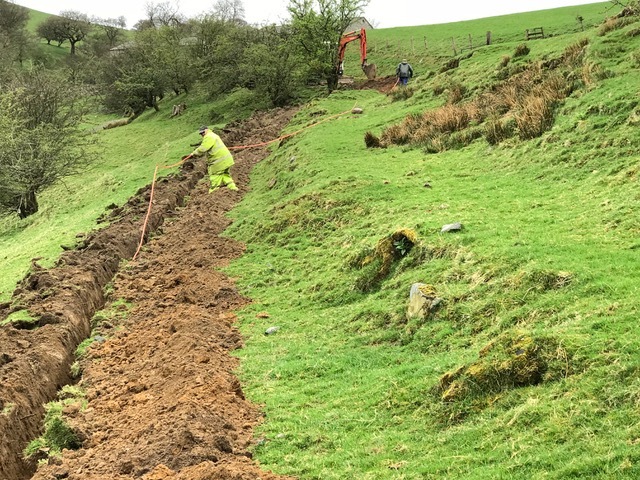 The Killington team are now installing the duct just North of the A684. 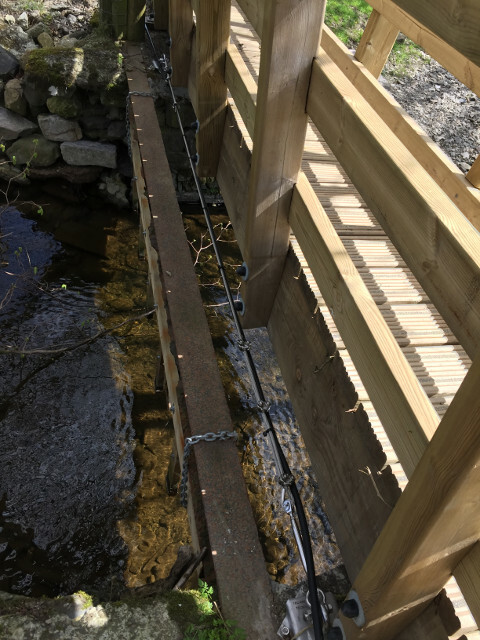 Once the stretch across the road from here goes in it will be continuous to Killington Bridge. 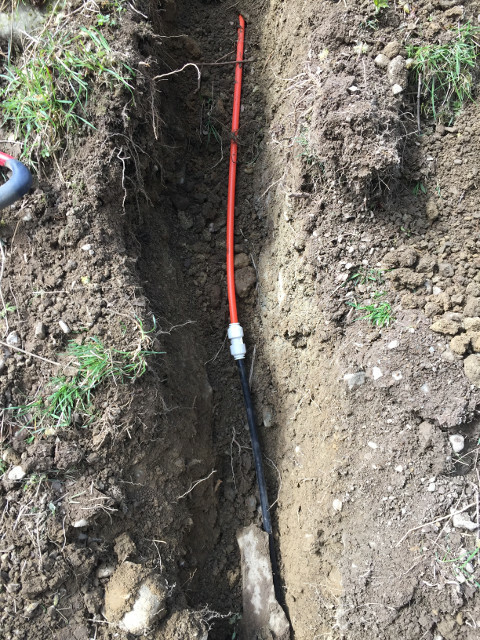 The gap is shrinking! 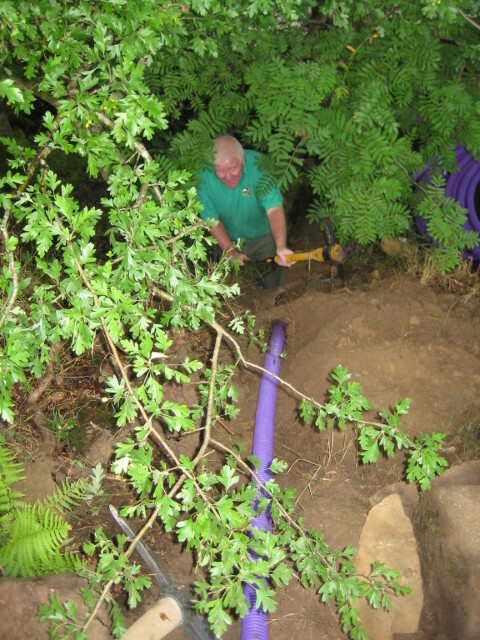 Photos show - The Firbank ducting fitted across the footbridge (neat job by the Melling boys! 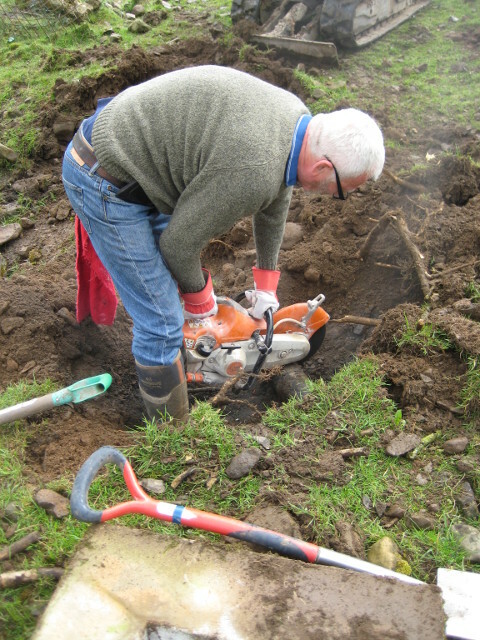 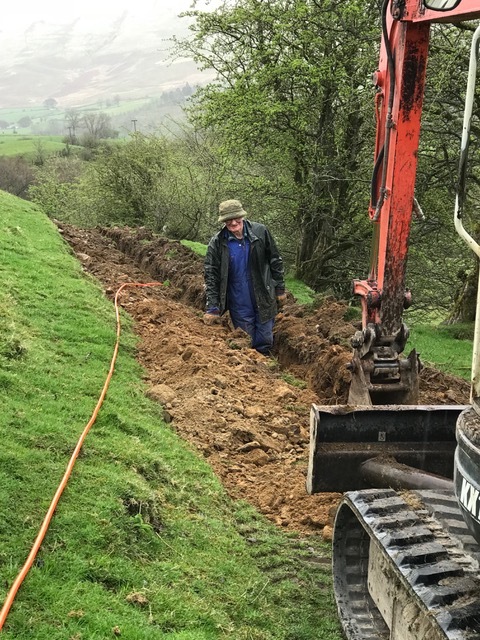 ), the Killington duct (orange) joined to the Firbank duct (black), Brian backfilling the last bit of trench and the team digging the last few yards to the chamber. 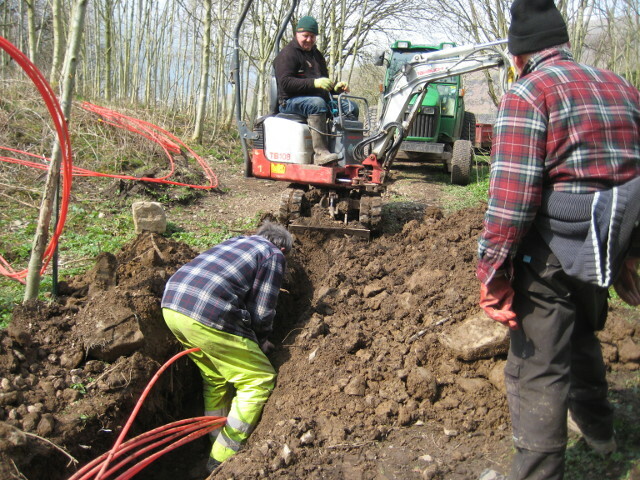 The Firbank team are now excellent trenchers. 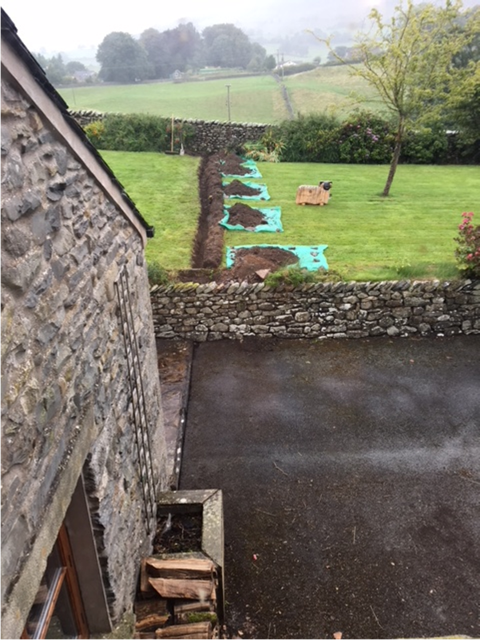 Bad weather! 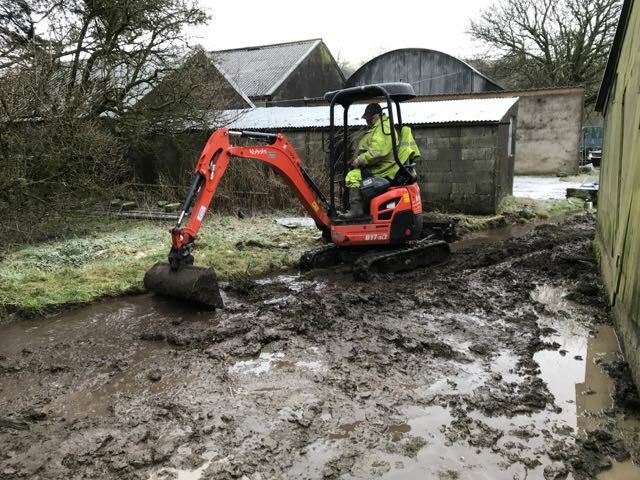 What bad weather? 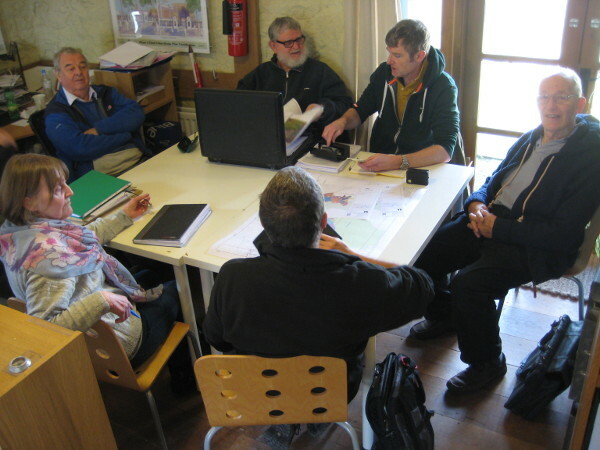 The Firbank team do not stop for inclement weather. 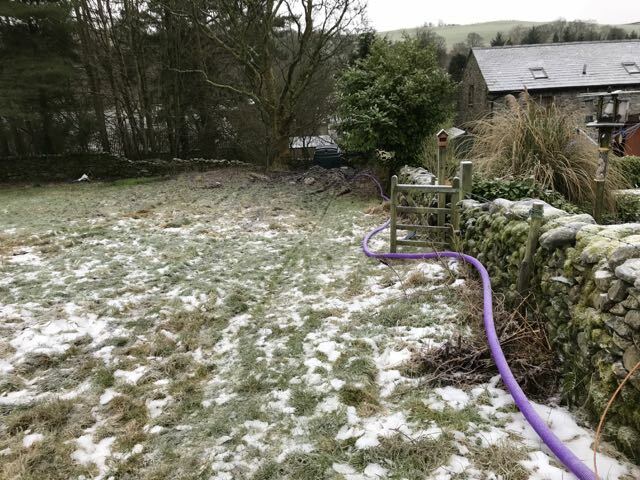 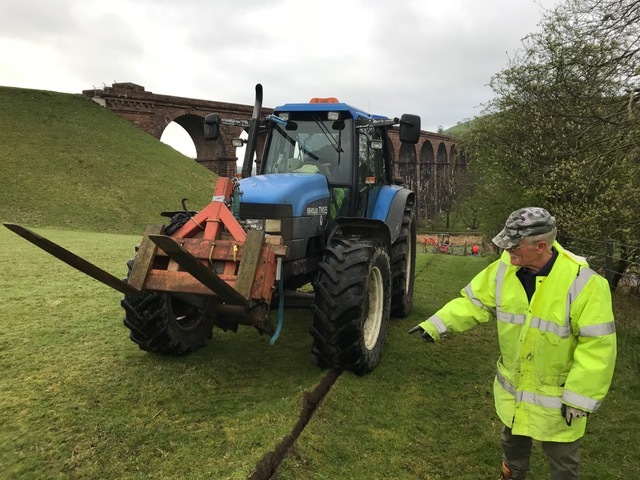 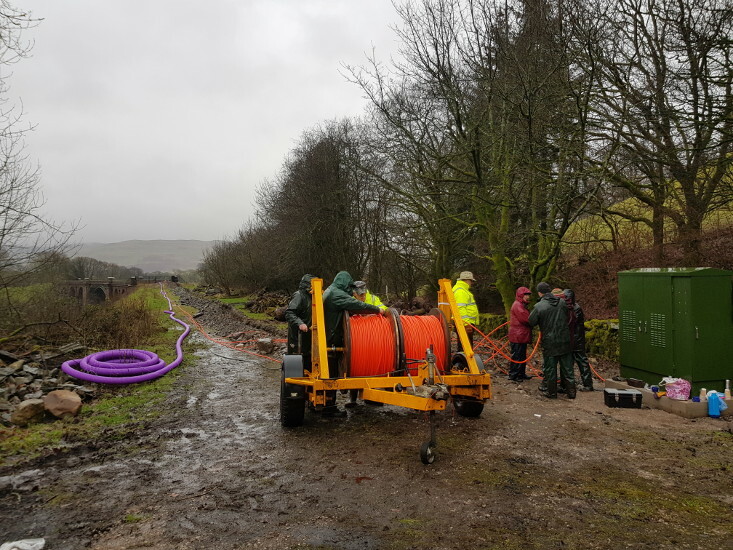 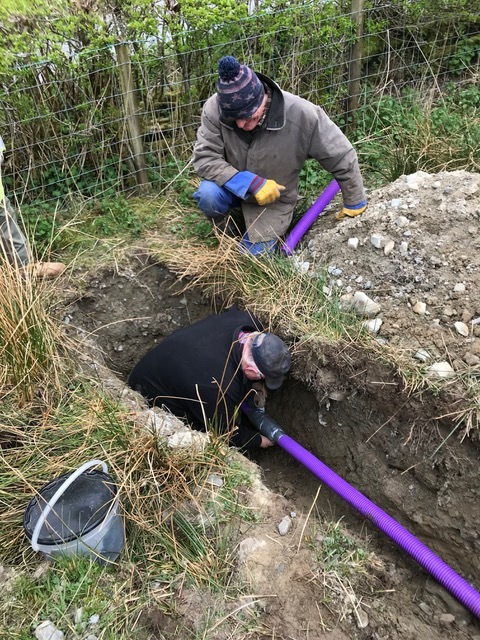 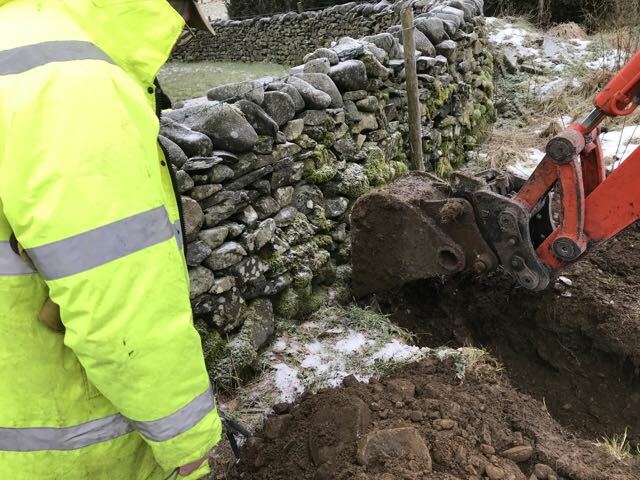 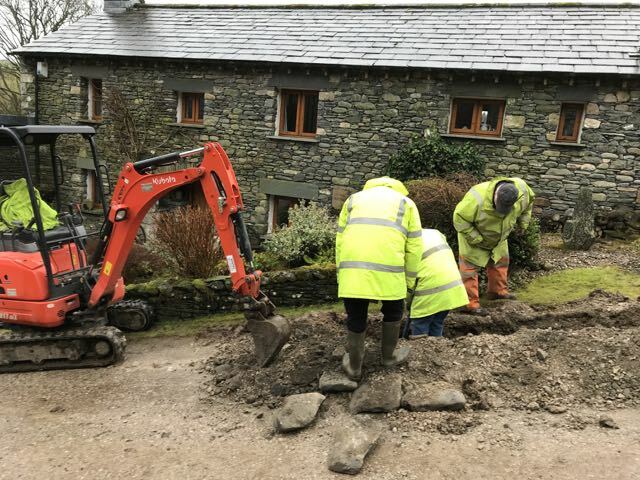 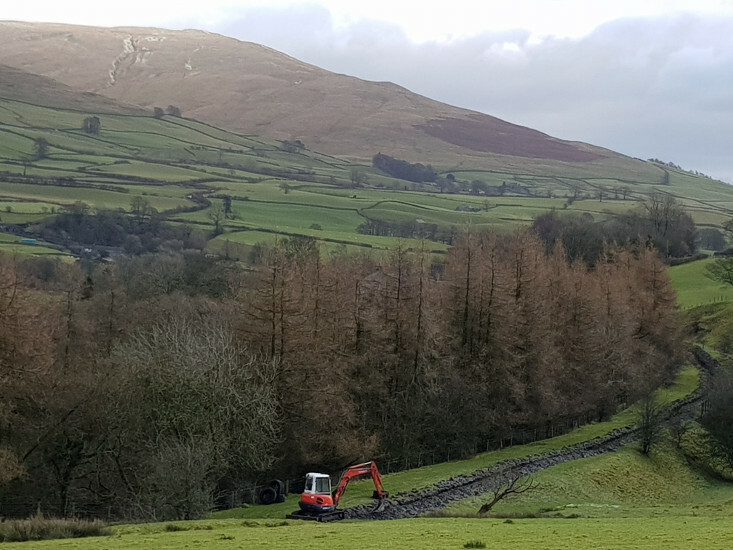 The Sedbergh, Millthrop and Garsdale teams met on 7th March 2018 to discuss progress, inter build connections and start dates for installing ducting. 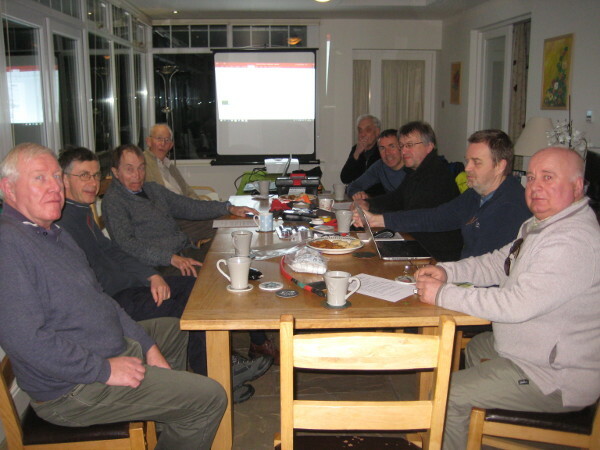 On 27 February 2018 the Marthwaite, Howgill and Sedbergh teams meet to discuss progress and plan the next steps. 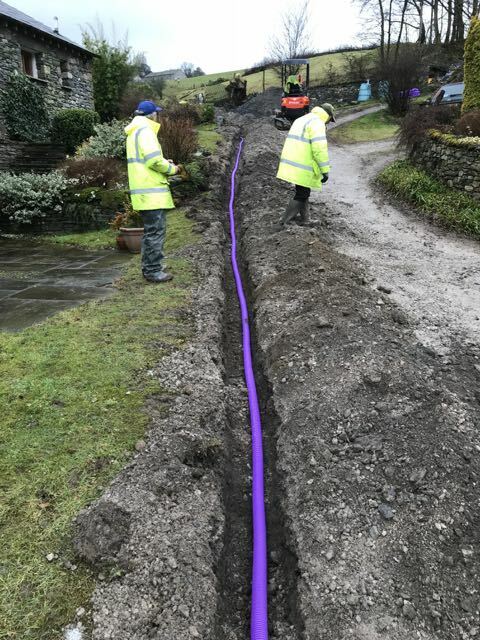 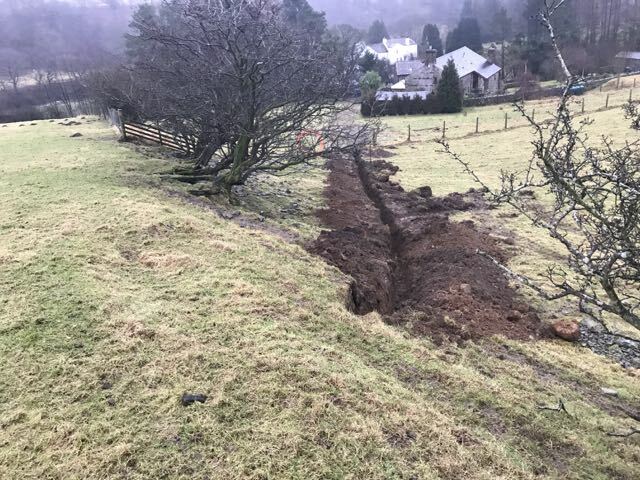 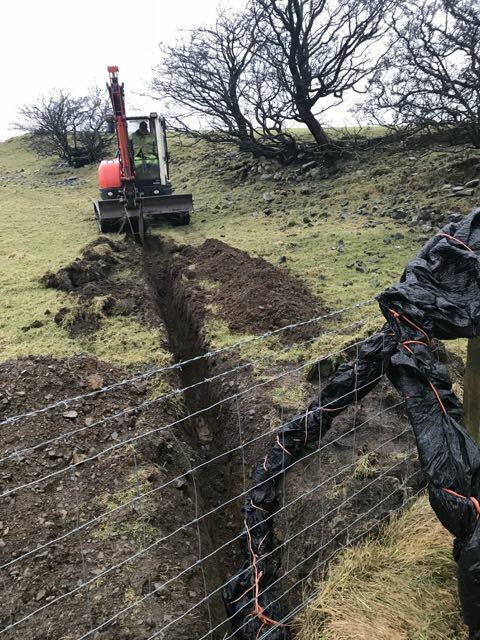 Sedbergh at January 2018 is still in the planning stage but in 2017 an opportunity arose to lay ducting in a trench that Sedbergh School was digging to lay electricity onto their new sports Hall. 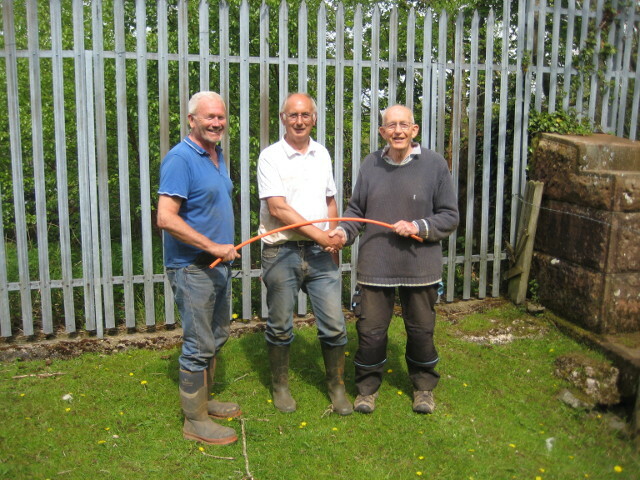 A quick response by local volunteers and B4RN HQ saved much work in the future. 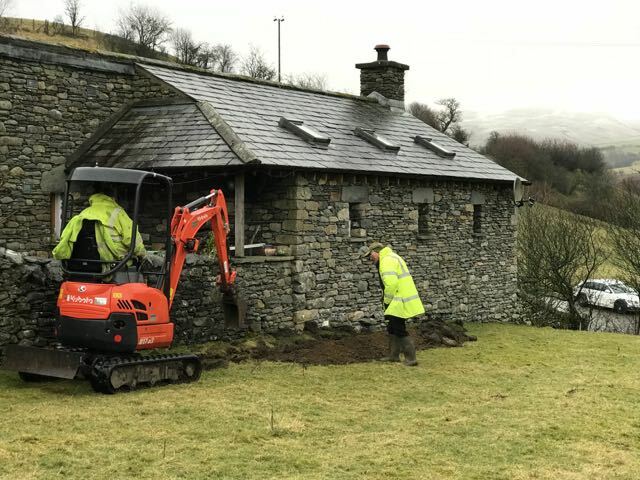 After some arduous planning and careful collection of investments the Killington build received permission to start work in November 2017. 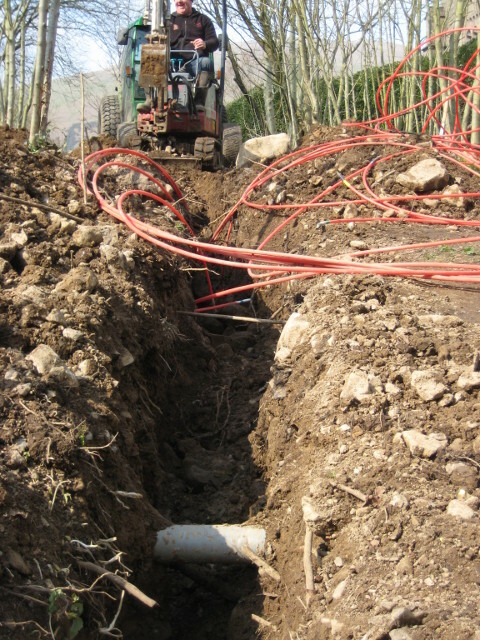 Within a few days 2km of ducting was in the ground. 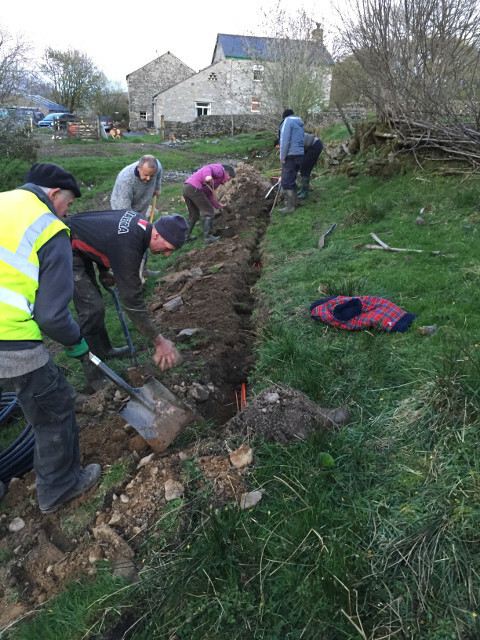 Careful planning allowed Firbank to start work in October 2017. 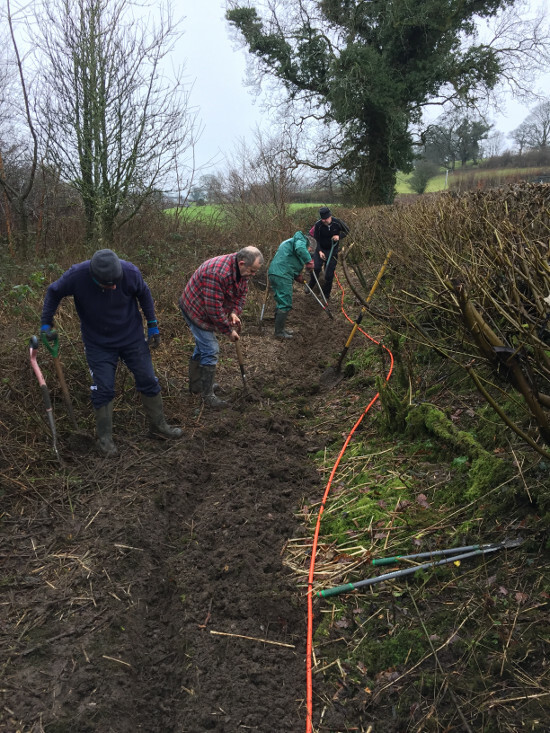 The weather was far from ideal but a determined band of volunteers laid a considerable amount of ducting though to January.